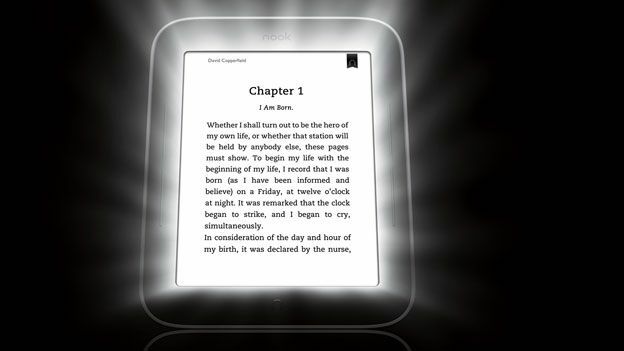 American bookstore chain Barnes & Noble has announced that its Nook Simple Touch GlowLight e-reader is on the receiving end of a £20 price cut today. Coming in at just under £50, the GlowLight is now the cheapest backlit e-reader on the market, giving it an edge over Amazon's £109 Kindle Paperwhite. This is the second price cut for the GlowLight as it was dropped from £109 to £69 earlier this year. B&N has also discontinued its regular Nook Simple Touch, which was selling for £29 after a tie-in with the Get London Reading literary festival. "Price is a big driver in creating the migration to digital," Barnes & Noble's MD, Jim Hilt, told T3.com. "Once we get customers over the hurdle of the device pricing, they can take advantage of the 2.5 million books, newspapers and magazines we have on offer." The difficulties experienced by the Nook brand in the e-reader and tablet space - thanks to Amazon's dominance - have been well documented. And, while Mr Hilt wouldn't be drawn on the economies of selling a device at such a low price, he was confident the move would benefit the brand. "There are three componants in any market," he said. "The price, the channels and the marketing. We have a retail distribution strategy with stores such as Blackwells and Foyles, we have an ongoing commitment to the reading and literacy discussion in the UK, and now we have an aggressive pricing strategy." Picking up a backlit e-reader for under £50 - especially heading into the festive season - seems like a no-brainer and could easily bring in new customers looking to spend money on titles from the Nook store. But, with new devices from rivals Amazon and Kobo, the Barnes & Noble Nook brand isn't out of the woods yet.